Almost a decade ago, the amount of data produced was stored locally. Since 2012 the era of social applications and business aspects created a massive amount of data, which was almost impossible to store in local machines. The pace of data was uncontrollable. The data at the present moment is increasing exponentially. Some of the stats will clear the clouds of dust. This calls for organizations to manage and organize data in an efficient way, to clear the hurdles coming across their success. Tableau performs data analysis as well as data visualization, hand in hand. The feature extractions, labeling, clustering, falls under the data analysis part, and the generation of graphs, reports are sorted out by data visualization. Let’s dive deeper into these concepts and see how all these matter in today’s digital era. Ancestors of IT call this Big Data. Numerous techniques have been brought into account to handle data problems. According to Forbes, the study of Accenture says that the companies will lose their identity if Big-Data is not embraced, as 79% of the executives agree to this bitter fact. All of the above technologies provide an excellent analysis of data. But to have the more prominent picture, Data Visualization is required. It draws and fills colors to inject the perspective from data. Data visualization is a pictorial representation of data or visual communication. In layman words, it’s the visual language of data. Statistical graphics, information graphics are brought into use to have adequate and unambiguous disclosure of information. All of them have their specifications and features. The attention seeker amongst all is Tableau. It outperforms all, with better visuals. The demand for data skills is increasing day by day and with that, the data experts. The companies seek and demand professionals who have specialization in data analytics, data visualization domains. The certification of Tableau stands them out of the talent pool. Certifications provide an immediate spike in salaries. Along with this, it helps in landing promotions to current role. Global knowledge surveyed that the population of IT certification holders is 83 percent alone in Canada and the U.S. Not only this but also the salary of the certified persons is $8400, which is 11.7% higher than the non-certified. It’s a data visualization tool used for multi-purposes from data analysis to data visualization. It has pre-built algorithms to run on any data form where clustering, classification, labeling all these are performed under one shed. The stepping in of Tableau almost closes the doors of using other libraries for visualization viz. Matplotlib, Seaborn, etc. So it’s a handful source of all the needs that are required for data analytics. Stanford University provides Patented technology. Have the Toggle view plus drag-and-drop. You can filter and highlight the data. Mobile ready dashboards can be embedded within. For data viewing, Tableau reader is a new feature. One can comment on the dashboard. Queries with no-code can be done. Visualizations of queries can be translated. All sizes of data and ranges can be imported. Interactions are featured in dashboards. Plunge insights into a beautiful guided story. Managing of metadata is much more resourceful and useful. At any level have security permissions. For data sharing, we have Tableau Public. The Tableau certification gets you recognized and differentiates you from others. Soothing payrolls with more rewarding hikes is another plus for the certified professionals. In Business Intelligence, Tableau is emerging as the hottest trend. The companies are losing their brains for data visualization handlers, resulting in Tableau experts, on the surge. If the google trend is to be followed, then there’s no better time than ‘now’ to rush for Tableau Certification Training Course to get better insights about data visualization, data analysis, and data management. The certification and tableau training aids greatly in grabbing the career opportunities in business intelligence. In a majority of the companies, there are at least two to three data visualizers withdrawing nice paychecks and keeping their higher executives, more than contended. I have a rock solid belief that in coming 3-5 years the colossal demand of Data experts is going to hyper shoot having good knowledge about Tableau and its workings. Undoubtedly, Tableau is the best business tool so far. However, it is recommended that one must know some ETL tools too such as Talend, Pentaho to get the best out of their learnings and apply them in practice. By 2020 the world population is embarked to generate 50 times, as of 2K11 data. So this humongous amount of data set every business and the tycoons to compel themselves to make use of data visualizers to analyze and visualize the data for the good of the companies. This, in turn, strikes the bells of recruiters to look into the right candidates for the right talent. The certified gets all the perks and allowances turn onto their side. The exaction for Tableau professionals is spooking. Below are some stats yelling the spike which is expected to go through the roof and will make you realize it’s vitality. In India, the median salary of Tableau expert is above Rs. 5 Lakhs. 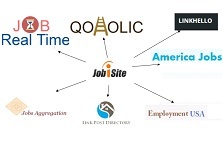 The quick eye scan of current job portals of top companies looks for the right skill and talent. It’s like, to find the needle in a haystack. But the job is done pretty easy when the magnet of certifications highlight the resumes. Some of the overlords only spotlight the certified candidates with immediate joinings like Google, Dell, Facebook, Sap Labs, Applied Systems, NetJets, Sony Electronics with all the compensations if required in any particular case. So if one wants to work for the giants of IT, then have Tableau certifications. It says a lot in its own. The next millennial is only of data geeks. The specialty of employees’ vary, but the data geeks will quench their thirst not only with jobs but also with healthy paychecks. They’ll drive crazy every industry, by now and then. New algorithms are required to handle such enormous data and right understanding, which can only be fulfilled by Data Analysts, Data Visualizers, Data Scientists. These chairs are only occupied by the rightful applicants with some mind-boggling certifications like Tableau certification, Machine Learning, SAS, Deep Learning, R, Data Science.